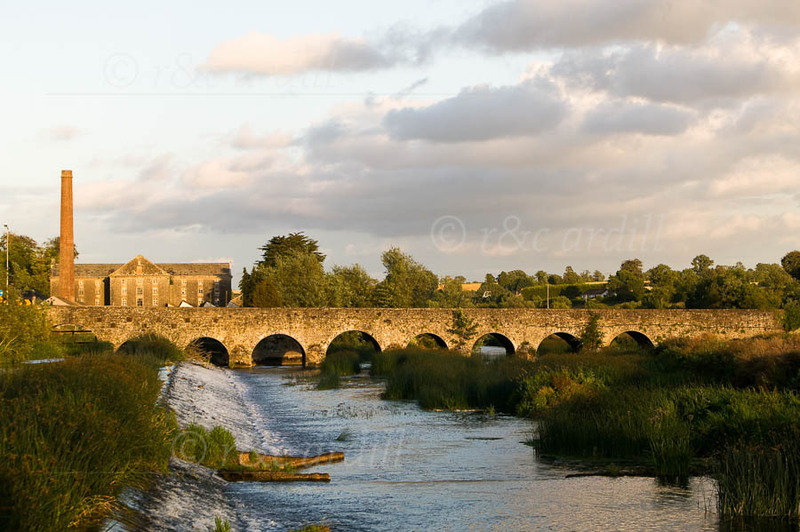 This photograph shows the beautiful 14th Century stone bridge at Slane. In front is the wonderful weir which was part of the Boyne Canal and which also diverted water to the water-powered mill. The mill itself was built in 1766 and was originally powered by two large water-wheels.